So another packing saga comes to an end. I'm sorry I haven't been posting the past couple of days... my computer had some issues. I think I've spent more money fixing this old thing than if I had just purchased a new one. Ah, that's love. Another remix of some of the items I packed. 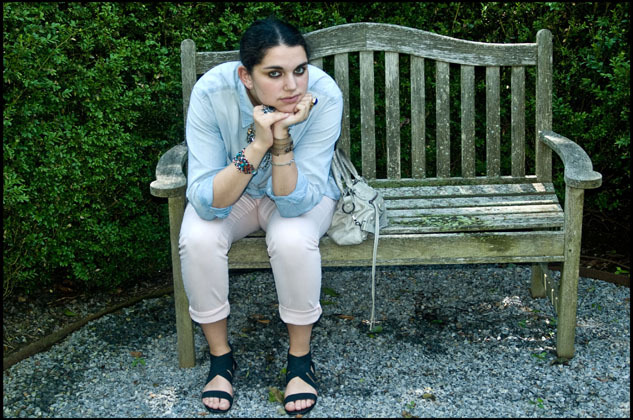 My trusty Madewell shirt and my lovely new Zara pants. I absolutely adore the light pink color... so summery! The necklace I bought on sale from Banana Republic. Statement necklaces are sort of my thing and this beauty could not be passed up. I love Banana Republic for jewelry, it's like finding hidden treasures when you go there. I always come across something good. My dad bought this bench and I don't think anyones ever sat on it. I'll be honest, I think before these photographs I've sat on it once or twice and we've had it for years. Oh well... it does look nice though Pops! I did some errands today which were very successful. The BF and I literally took a tour of the city, from the Bronx to St. Marks Place. I've bought some new and exciting things to post on the blog... keep your eyes peeled. Hope everyone's weekend is going well! I'm sorry to hear that about your computer, glad you are back! 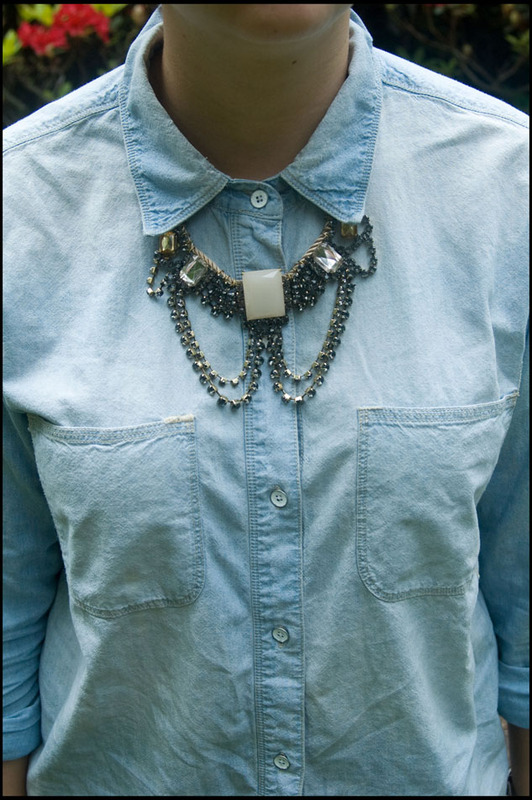 Love the way denim looks in contrast with the fancy necklace, great idea! 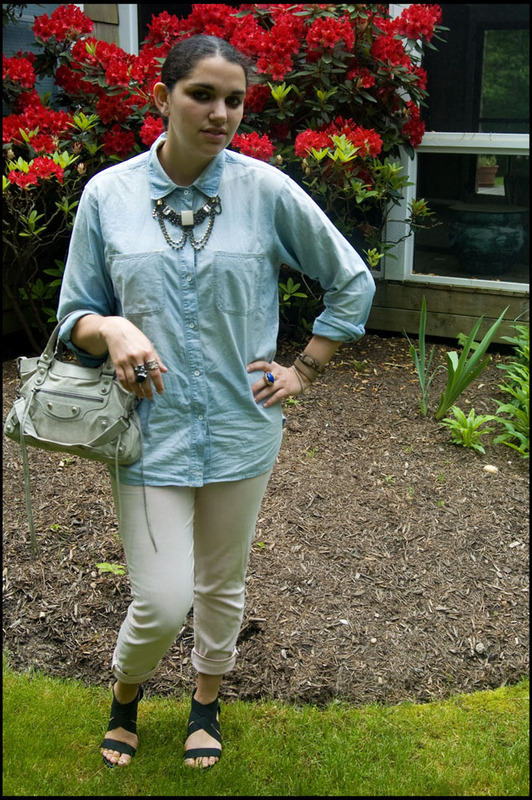 That necklace is so gorgeous, it really glams up the denim shirt. I would never have thought to pair the two!